I am still on the hunt for special wines to serve guest at our Cape Cod bed and breakfast this fall and winter. I long to make another trip to California to do more in-depth research but, alas, a weekly wine tasting at the Belfry Bistro sponsored by Cellar 55 Wine Merchants is as close as I am going to get this year. A recent tasting introduced me to a whole new area of California that I will need to add to my next trip plan, Lake County. On our last trip to California a few years ago, we drove south to Jacksonville, FL and picked up Interstate Highway 10 and stopped when we hit the Pacific Ocean. We spent two months working our way up the coast from Santa Barbara and through all the great wine country made famous in the movie Sideways. Taking the winding and scenic US 101, we hit numerous great wineries in Paso Robles with brief tourist stops in Carmel-by-the-Sea and Monterey, all of which have thriving vineyards and small wineries. We bypassed San Francisco and went straight to St Helena, in the heart of the Napa Valley, where we spent a week revisiting some old favorites and discovering new gems, like Vincent Arroyo the maker of Jan’s much loved Petite Sirah. To end our tour, we made our way over the mountains into Sonoma County. It is hard to believe that in all of our years of living in California and visiting Napa, we had never made it to Healdsburg and the hundreds of great Sonoma wineries. Our next trip to the west coast will include more time in Sonoma, but we will also venture further North to Lake County, based on my recent tasting experience with the wines of the Langtry Estate & Vineyard. Langtry is located 90 miles north of San Francisco, and just over the hills from Calistoga and the Napa Valley, in the Guenoc Valley. The winery takes it’s name from Lillie Langtry, the infamous British theatre star who purcased the estate in 1888 with a stated goal of making “the greatest Claret in the country”. Claret was a turn-of-the-century British term used to descibe a red blend similar to the classic French Bordoux. Lilly Langtry grew Bordoux grapes and produced award winning blends in the hillsides of the Guenoc Valley until she sold it in 1906. Interestingly, in 1981 the Guenoc Valley AVA (American Vitcultural Area) was established and the Langtry Estate & Vineyards became the first producer with its own appellation. Maybe too much background, but this helped me to understand the labling of the wines we tasted. 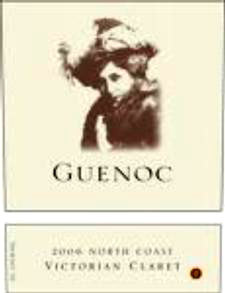 Offically, the wine tasting was titled The Wines of Guenoc Langtry Estate. As I did my research, I learned the winery is Langtry Estate and Vineyard and they sell wines under both a Guenoc Lake County and the Langtry Estate lables. Keep this mind as I tell you what wines we tasted and if you look for them online or in a wine shop. I hope you are not confused and I assure you Polly Hemstock from Classic Wine Imports, who lead the tasting, made it all very clear and easy to understand. And as is often the case, the wines spoke for themselves. We started with a nice white, the 2010 Lake County Sauvignon Blanc paired with Taylor Bay Scallops. The wine was very light and well balanced and a nice match for the scallops. The white was nice, but Langtry is known for its Petite Sirah and has some of the oldest California Syrah vines which were planted in the 1850s. Next we tasted the 2009 Lake County Petite Sirah paired with Beef Bourguignon. This wine was very easy drinking with less tannins then many Petite Sirahs I have tasted. When tasted together, the food and wine pulled more flavors from each other and both were enhanced. My favorite wine of the night was the 2008 Guenoc Victorian Claret North Coast, an interesting blend of Cabernet Sauvignon, Merlot, Petite Verdot and Petite Sirah. It was very smooth and again very light on the tannins. I think this wine would have lived up to Lilly Langrty’s high standards for a Claret. It went nicely with the Black Mission Figs and Manchego Cheese pairing, but I could enjoy drinking it by itself and I did later in the evening. Our last wine was the 2009 Guenoc Lake County Cabernet Sauvignon paired with the Belfry’s killer Chocolate Decadence Cake. The Cab was OK and made better by the Cake, but I have always been a sucker for this dessert. I enjoyed the wines and food very much and will buy some of these wines for my guests at our Sandwich Inn. I think the wines are better than the labeling, as I tried to explain before. Just looking at three examples here, it is not clear how they are trying to position themselves. All three lables have the name Guenoc on them but in two different fonts and boardering, i.e. they look differernt, and no mention of Langtry Estate. The two Lake County bottles have a barren tree, which the back label identifies as a 300 year old Guenoc Valley bent Blue Oak tree that somehow symbolizes ‘determination’. The same tree is on the label of the Langtry Single Estate Vineyard wines sold as Langtry, with no mention of Guenoc. The lable on the Victorian Claret is a picture of Lilly Langtry, although Lantry Estate is not mentioned. From my reseach, I think they have an interesting story to tell, but I am not sure how clear it is in this packaging. So, ignore the packaging and enjoy the wine, that’s what I plan to do.